I'll be the first to admit it...I can be sort of a snob about fishing. Aside from eel fishing, I don't fish conventional tackle. During Swiss winters, this stubborn refusal generally means I don't see any time on the water, as the trout season is over and everything else (grayling mainly) is too deep to reach with fly tackle. With that in mind, it's no surprise that the closest I got to fishing over the holidays was tying a ton of flies. More flies than I know what to do with, enough flies to send more fortunate friends off to faraway places, like New Zealand and Chile, with handfuls of chernobyl ants. I did make it to a river though, a section of the Rhine just over the border into Germany. A few friends of mine regularly fish this stretch year round, and I've been looking not only for winter fly fishing opportunities, but also a place to learn spey casting, and this was definitely it. My friends aren't as stubborn as I am, and although there may be the occasional winter grayling that's catchable on the fly, they both spend the winter using a setup that's apparently somewhat unique to Swiss grayling fisherman on the Rhine, and that's a very long (12-14 feet) float rod paired with a rotating centerpin reel. To be perfectly honest, this is something I would normally have very little interest in, but, upon seeing this rod, I realized that I have something similar gathering dust in the attic. When my grandfather died in 2006, my grandmother gave me all his tackle. He was mainly a conventional fisherman, so other than the sentimental, his tackle didn't present much practical value. I dug it out of the attic, dusted it off, and gave it a look over. All seemed to be in order. As I held this relatively unwieldy rod, I spent quite a bit of time thinking about my grandfather, wondering what he fished for and where. Along with my father, he shared and nurtured my love of fishing, and though it sounds overly sappy, I think fishing with his rod is a fitting way to refresh some long forgotten memories we shared together. The rod is a fiberglass Sealey Aquarius float rod, produced in the early 1970s in the UK. The reel, a rotating centerpin model produced under the name Speedy, is a little more difficult to find any info about. All google hits point to Swiss websites, so I assume it was produced here in Switzerland, sometime around the same time period. 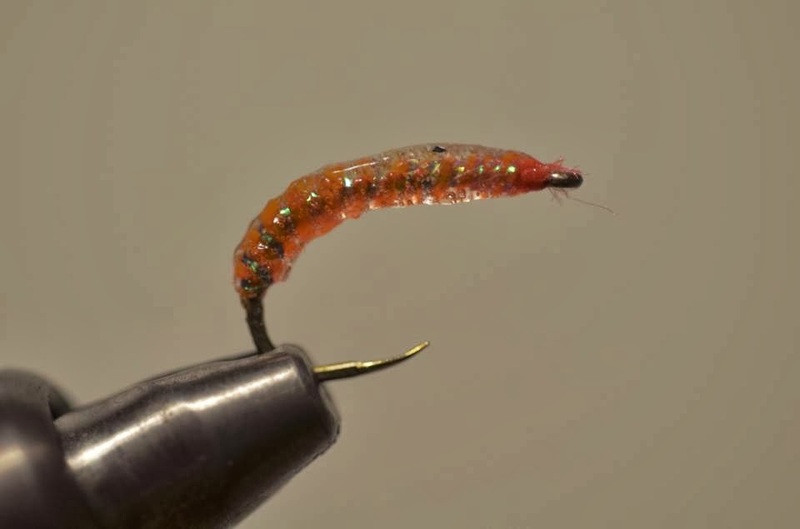 Grayling fly of my own creation, looking like a piece of melted Barbie.